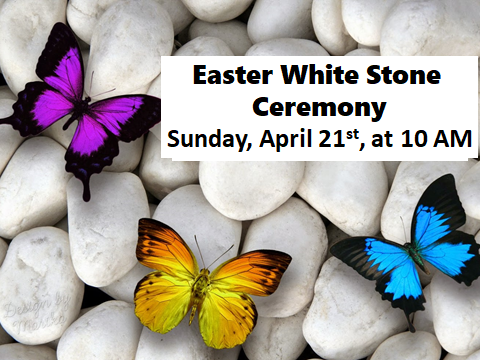 We hope you can join us on Easter for this special Unity event! The next activity is surrender: “To everyone who conquers…” The conquering is not an outer war, but an inner one. To everyone who takes the time to listen to the still, small voice; to everyone who practices release and affirms inner spiritual qualities…. We realize it requires surrendering personal will to Divine Will, and the paradox is that in that surrender of the egoic self is Victory. It is a birthing of the Essential Self, just as Jesus taught and demonstrated.